An orphaned bear cub has been rescued from a dire situation all alone in the wild after she took an incredible leap of faith - entrusting her fate to a passing stranger. 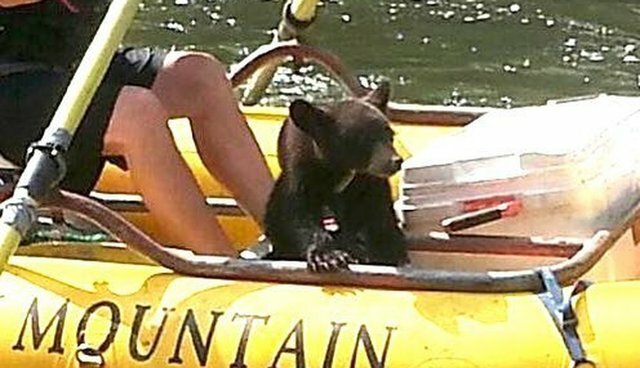 Danny Allen, a rafting guide with High Mountain Expeditions, was paddling along the banks of the Nolichucky River in Tennessee late last week when he was joined by the furry passenger who climbed aboard his inflatable boat. The helpless bear cub had been seen along the banks of the river a few days prior, emaciated and dehydrated likely after being orphaned by her mother, reports the Knoxville News Sentinel. Fortunately, she'd picked the right person to help. 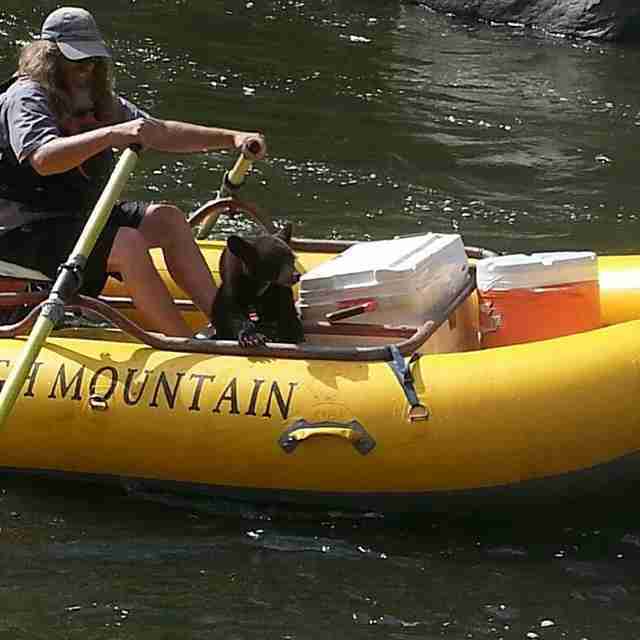 With the bear cub now safely aboard, Allen continued to paddle down the river back to civilization. 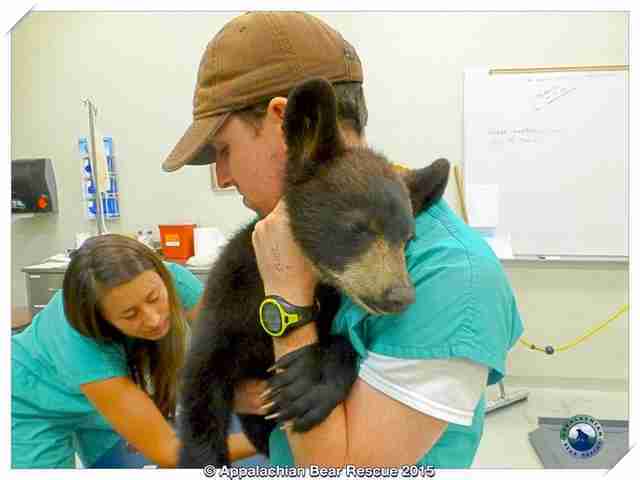 There, he called the Tennessee Wildlife Resources Agency which picked the cub up and got her some much needed medical attention to treat her malnutrition. 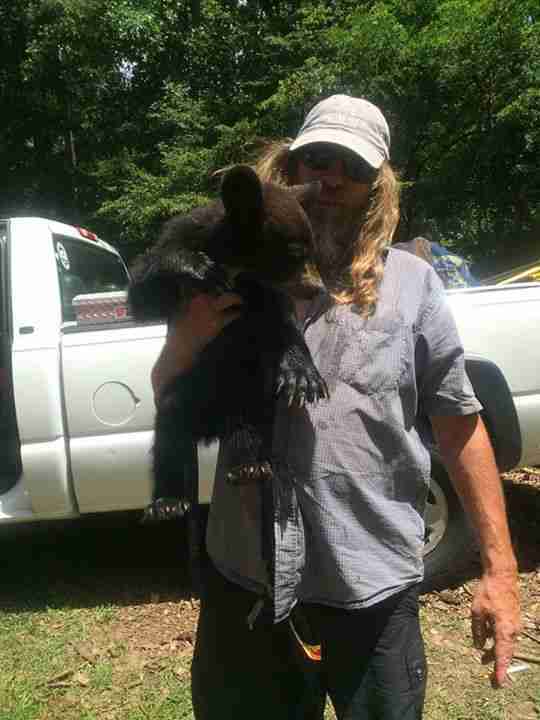 "Very skinny for her size, for the age she is," Allen said of the bear in an interview with news station WVLT. "She should have been twice her size." 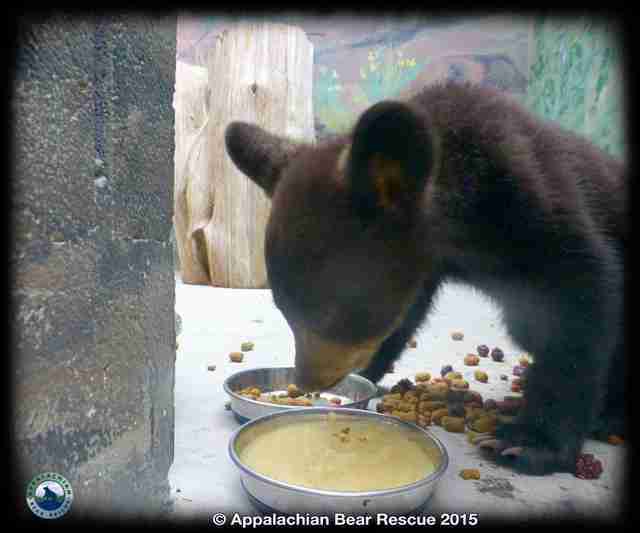 Once stabilized, the cub was transferred to Appalachian Bear Rescue, a rehabilitation center dedicated to caring for needy young animals like her. Rescuers, who have since named the cub Noli Bear, say that she is in good health and gaining weight steadily with her voracious appetite. "I think her future prospects are good," rescue staffer Dana Dodd told The Dodo. "I'm absolutely confident she'll be able to be released back into the wild. " Dodd says it's typically inadvisable to pick up animals thought to be orphaned, as their mothers may still be in the area in search of food, though she stopped short of faulting the rafter who, by the sounds of it, was following the bear's lead in offering his assistance. "We are happy that we have her, and we're happy we can help her get back to the wild," said Dodd. "But if you see wildlife in trouble, you should always contact your local wildlife officials and let them take care of it." 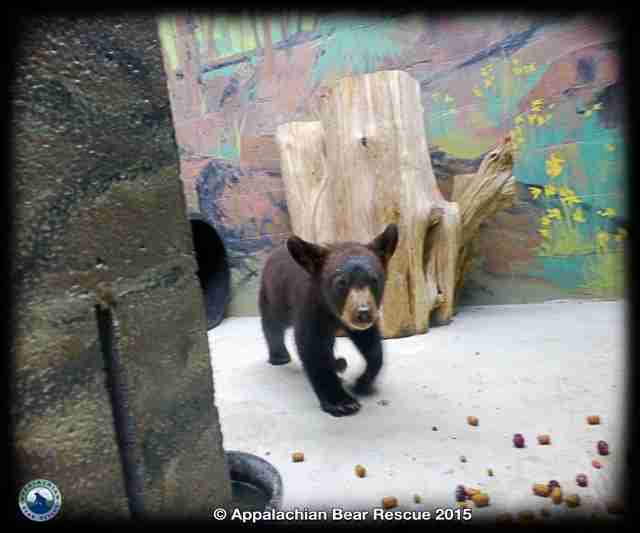 Appalachian Bear Rescue operates entirely from donations made by people like you. To learn how you can help, visit the rescue center's website here.